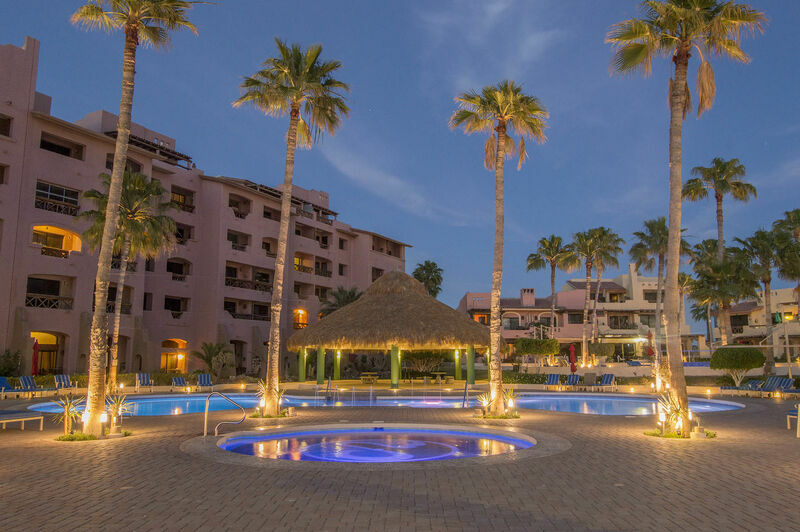 Within the Sandy Beach community near the port and downtown Puerto Peñasco, you will find the lavishly appointed Marina Picante condo complex. This has been one of the premiere vacation rentals in Rocky Point for many years. 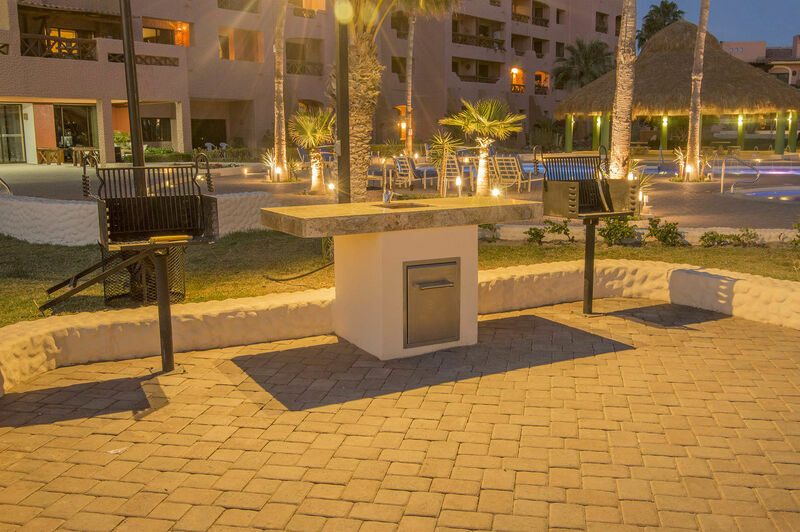 This is because of a great mixture of amenities offered with a stay here, as well as all the opportunities to take advantage of Puerto Peñasco just outside of your door. Unit B-402 offers a wonderfully appointed interior, complete with 2 bedrooms and 2 bathrooms. Both of these bedrooms provide a cozy queen sized bed. The master suite offers this bedding within a spacious floor plan, with a private bathroom and flat screen TV. The guest bedroom lies on a bit smaller floorplan, but still offers the same cozy bedding and linens and access to a full bathroom. Upon walking through the front door, you will be enveloped in cozy, beach house-style décor and furnishings. Just before the balcony is the spacious living room, offering a perfect place to relax among the numerous comfortable seating options and flat screen TV. Closer to the door, you will find the dining room and kitchen. The kitchen offers everything that you could need and want in your culinary undertakings. Everything throughout the condo is bathed in natural lighting, resulting in a very positive environment. 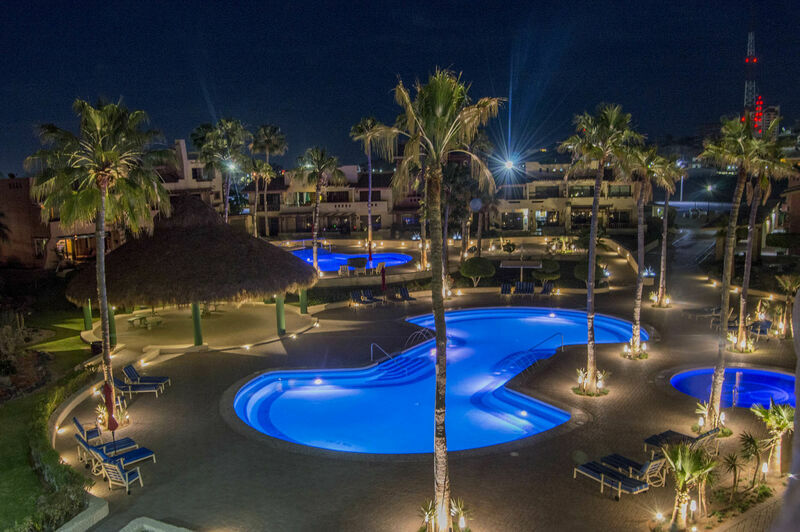 One of the incredible luxuries of the vacations homes Rocky Point offers is its proximity to the beach and the amazing views that result. This unit is on the fourth floor, and as such, its balcony and cozy patio furniture offer the perfect place to enjoy views of the ocean or the bustling downtown that surrounds. The location also affords any residents the opportunity to take a quick walk to find instant excitement. Whether you are taking a quick stroll the water, to downtown Puerto Peñasco, or to one of the countless unique shops or restaurants, there is something for everyone in walking distance. On top of all these benefits of staying in unit B-402, you get all of the inherent benefits of staying in a unit at the Marina Picante. These include but are not limited to: free parking, access to a washer and dryer, a community pool, a Jacuzzi and fitness center, and high speed Internet. This is all offered in a lovely and safe community, as there is also 24-hour security for the whole complex. Plan your next trip to stay within these amazing accommodations to experience Rocky Point vacation homes as never before.